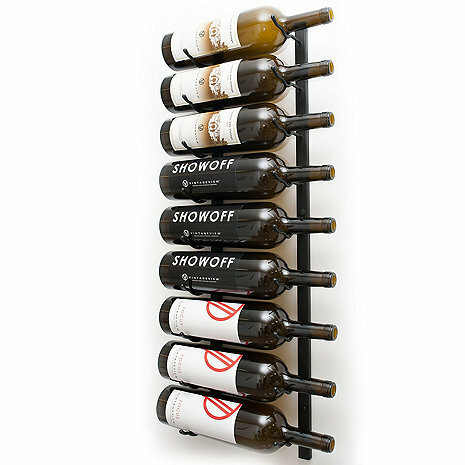 The Magnum Wall Series is designed for those who love collecting and serving larger format bottles and sparkling wines. And really, who doesn't? The steel racks hold 9 1.5L or Champagne bottles label forward and are also great for showing off Burgundy and other bottles with wider bases. This one bottle deep, nine bottle, magnum VintageView rack allows you store wine in many areas that wood racking simply cannot accommodate.